Buffalo’s Success Stories Prove Reasoning For Rehabbing and Landmarking Trico. Larkin-Exchange, 95 Perry, AC Lofts, Tri-Main, Art Space, Warehouse Lofts, Remington Lofts, UB’s M Wile Building. All of these buildings are historic daylight factories that at one time were vacant buildings that were on the brink of demolition – just like our Trico Plant on Goodell St.
Today all of these projects are our economic engines and success stories. They are our houses, our offices, our bars and restaurants. These are award winning projects recognized for preservation, sustainability and adaptive reuse from organizations statewide. These projects have helped to cast a new light on Buffalo and inspire others to think positive about our Queen City. These once considered risky projects, have now spurred an incredible amount of spin off investment across the City. From comedy clubs to more downtown residential units, concert series to new retail and restaurants, we find ourselves in a new city – a rejuvenated Buffalo – one that has a billion dollars worth of projects in the pipeline, increasing property values and more excitement than many have seen in decades. Trico Plant # 1 is sitting in the best area of the City that is growing the most – our medical campus. We cannot ask it to be in a better location. It’s designated developer (the BNMC) has over one billion dollars of development in current and future projects. If anyone in this region has the money to rehab this building and create the spin off developments seen in the other projects, it is the BNMC. Trico has a chance to become our next economic engine. In its current state it is a national landmark, making it eligible for 40% tax credits – something that only a few buildings mentioned above had the advantage of having. It’s unique, open floor plan makes it easy to reuse for several use types including office, residential and lab space – all three uses that the BNMC is in need of. It can also be used partially for a parking garage, which could alleviate issues in the Fruit Belt as parking becomes more stressful in that area. Trico deserves to be a part of the resurgence of Buffalo. It’s bones are solid, its owner is financially capable and its location is perfect. Rehabbing and reusing the Trico building will help to add to our continued success as a region and help strengthen our City core. Take a minute to write your common council member. Tell he/she to landmark this building on 4/30/2013. Use this letter, if you need a template. Preservation – 30 Years Ago! While a bunch of us were cleaning out a house on the west side, we found this newspaper from 1984 laying in a pile of wood in the basement. 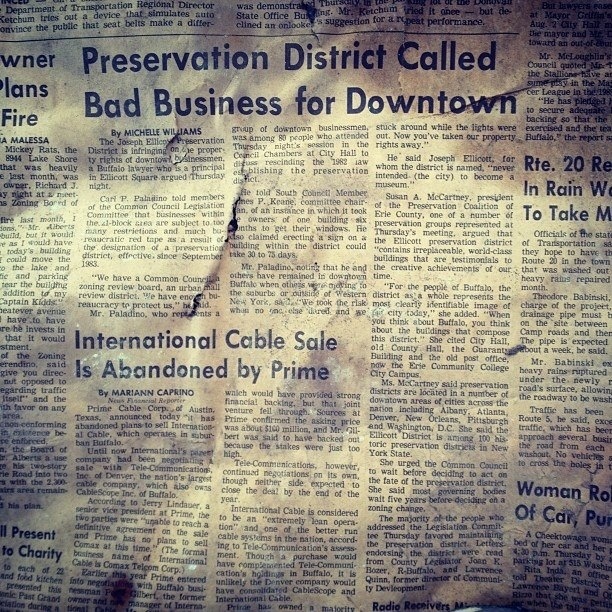 It reads “Preservation District Called Bad Business for Downtown”. Take a look at the pic for the full read. Finding this randomly really serves as a great reminder of what we do and why we do it. Without this preservation battle 30 years ago led by Sue and Joan, we would have lost the Webb building and so many others! Sunshine & Beauty in Buffalo’s West Side! I snapped a pic of this handsome building today. It’s a great visual reminder to always think big, aim high and remember how important it is to embrace the beauty and the incredible potential that lies behind the boarded up windows. I am very happy and lucky to be spending my time, energy and cash investing/living/loving in the West Side. Go Buffalo! 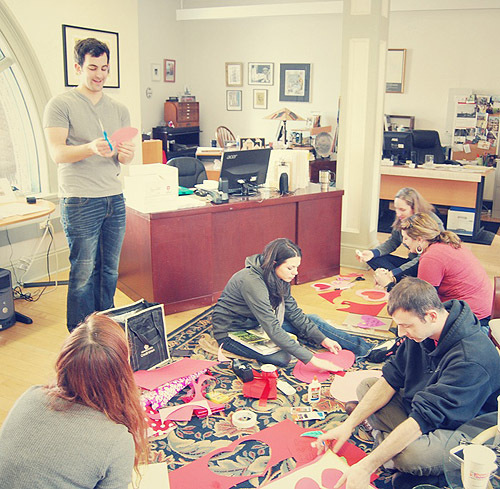 Impractical Cartography – Mapping Your Buffalove is Printed & Out On The Streets!! Late last year, my friend Kristine announced that she was going to make a zine that was dedicated to mapping buffalo by EXPERIENCES, STORIES & MEMORIES not by streets & addresses. She called it “Conroy & Brown’s Impractical Cartography” and put a call out for submittals late last year. This weekend it made its debut (in print!) at the Small Press Book Fair and is now in the hands of over 75 people who can read the real reasons that make the spaces of Buffalo very special places. It is a beautifully made zine – the materials, binding and style is very hip and made with Buffalove. The zine covers stories from all over the city – the West Side, East Side, Elmwood, Allentown.. and more. Some are place specific, others are about Buffalo in general. 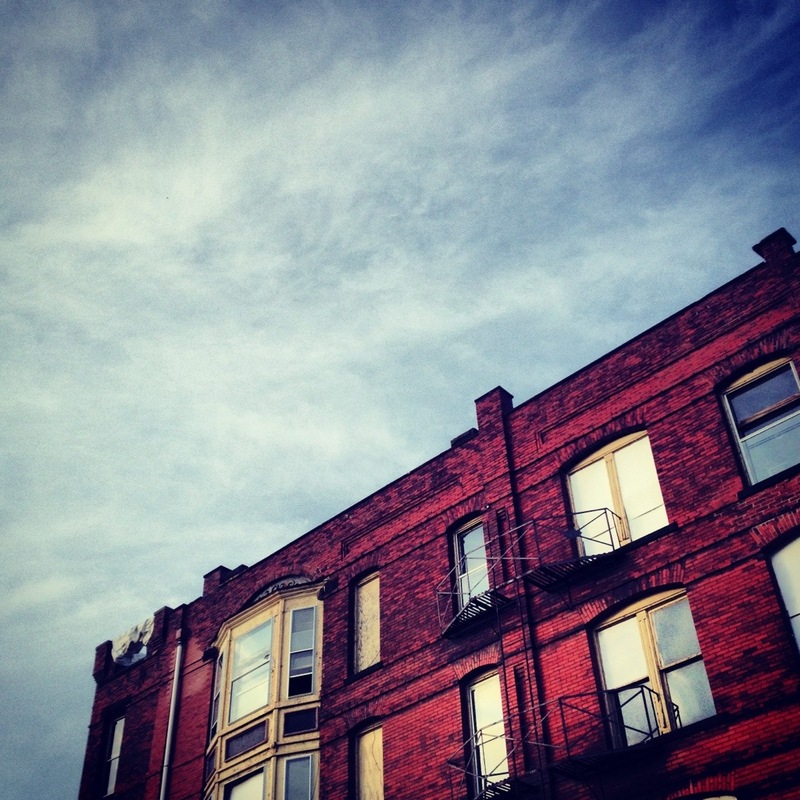 Julia Rocchi from the National Trust for Historic Preservation wrote about her experience at Five Points Bakery, one of many “community building” experiences during her visit that made her literally fall in love with Buffalo. What did I write about? The day I met Jason for the first time, which was the day I realized I could have someone by my side who was as crazy in love with Buffalo as much as I was. We met at Sweetness (of course) and it’s been our favorite spot ever since! This printed matter may have not happened if it wasn’t for Sugar City’s last Sunday Soup event. The Impractical Cartography folks were just one of several proposals all fighting over a solid 500 dollar grant. But luckily, they won! Thank you to Kristine, Mike and Joel for putting this together. Your project has been one of my favorites! BYP – Growing the Herd in Buffalo, NY. Do you want to do cool things that make the community better? Anyhow – don’t be afraid to get involved. It’s fun, exciting, stressful, yet very very rewarding.